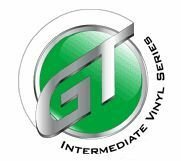 Create your own GT5 INTERMEDIATE 24" X 10 Yard Assorted Color 5 Pack! Pick any 5 colors you want for a total of 50 Yards! You can earn 82 SIGN BUCKS on this product! Comments: If you haven't experienced weeding this vinyl and the ease of application, YOU'RE MISSING OUT!! I have used several brands in my 18+ years and this vinyl has caught my eye.